When she marries her prince next week, Meghan Markle will join a distinguished line of American citizens who have become real-life royalty over the years – though not all their love stories had fairy-tale endings. The wedding vows that Markle and Britain’s Prince Harry will exchange at Windsor Castle on May 19 will transform the Los Angeles-born divorced actress into nobility. Afterwards, she will have plenty of women to serve as her role model for the “Dos and Don’ts” of being royal. 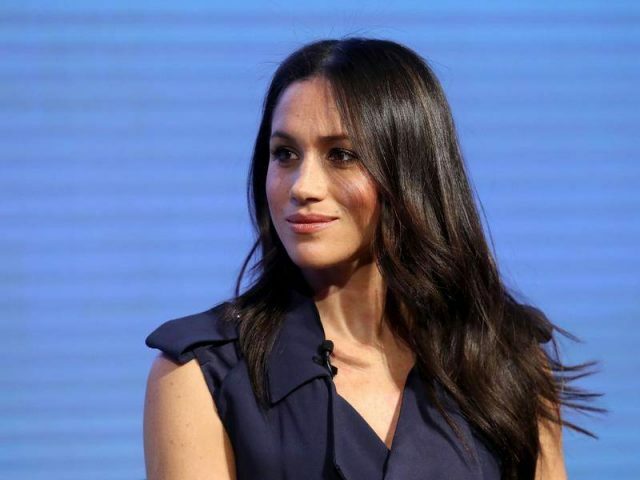 Markle could seek to follow in the footsteps of Princess Grace of Monaco, said John Lehman, whose cousin Grace Kelly was a Hollywood star whose 1956 marriage to Prince Rainier III made her Princess Grace of the small Mediterranean principality. “She went through some awkward years getting the people in Monaco to accept her,” said Lehman last week. Studying hard to overcome cultural barriers in her adopted country, Princess Grace quickly mastered the French language and won the hearts of royalty and commoners alike. “It didn’t take too long before she was ‘their’ princess,” said Lehman, a former U.S. navy secretary who often visited Princess Grace at her palace before she died in a car crash in 1982. He is now chairman of the Princess Grace Foundation-USA, which supports emerging artists. A less promising predecessor may be Baltimore socialite and divorcee Wallis Simpson, the wife of Britain’s King Edward VIII. The king abdicated the throne in 1936 in order to marry Simpson. Queen Noor of Jordan, who was married to King Hussein from 1978 until his death in 1999, also is from the United States. Lee Radziwill, a sister of former U.S. first lady Jacqueline Kennedy, is an American socialite whose 1959 marriage to Prince Stanislaw Albrecht Radziwill of Poland ended in divorce 15 years later.